NBA deals can seem simple on the surface, but there is a backstory that is rarely promoted. The Crossover went deep into the details of a trade call. 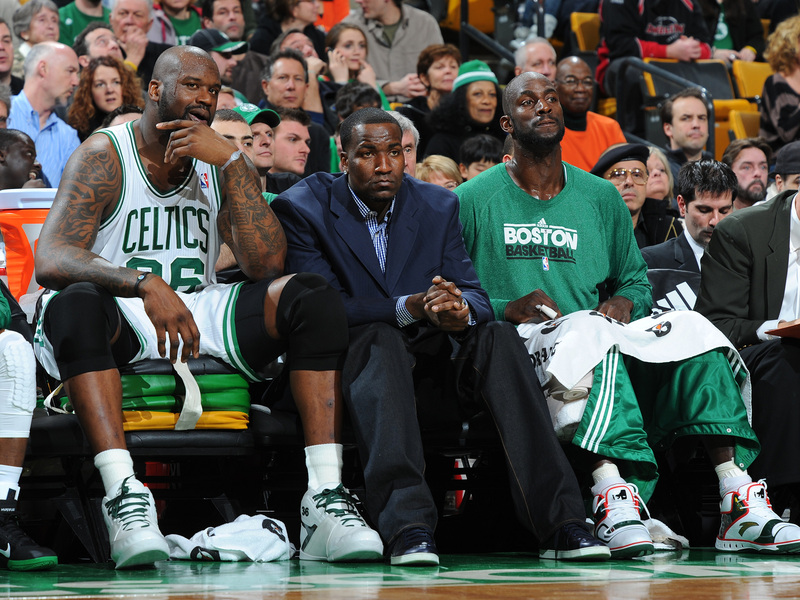 As the 2011 trade deadline rapidly approached, Boston Celtics general manager Danny Ainge began weighing the trade value of impending-free agent Kendrick Perkins. The Celtics ultimately struck their deal with the Oklahoma City Thunder, essentially exchanging Perkins for Jeff Green. The trade appeared to shift the tectonic plates of NBA contention and rocked the franchise even deeper. “There were literally tears in the locker room,” then-Celtics head coach Doc Rivers recalled. “There were guys crying. It was almost like a death.” Boston’s coaching staff prepared for an inevitable loss to the Denver Nuggets that evening. Teammates bear-hugged Perkins as he departed. On the surface, the NBA trade deadline plays like a game of Monopoly. Expensive contracts, future cash considerations and minor assets scatter and whirl around the map. Unlike the famous board game, the bank isn’t a charcoal, plastic tray. After completing a transaction, executives such as Zarren, from every team involved in the swap, must participate in a trade conference call with the NBA office’s legal department, consummating the exchange. Once teams agree on a trade in principle, the parties must share contracts, insurance and medical records of every player involved. Next, they agree on a time to call the league. The NBA prefers to hold calls during the business week, and will typically delay officiating deals that are struck over a weekend barring pressing circumstances. In, say, December, when the league office’s phone lines aren’t necessarily buzzing, teams can slightly alter the terms of the trade before hopping on the call. But in February, on deadline day, every detail of the transaction must be completely finalized by 3 p.m. ET. “I’ve never worked on Wall Street, but when you make a deal, it’s an adrenaline rush,” said former Nets assistant GM Bobby Marks, now an analyst with The Vertical. If a flurry of deals strike in the final minutes, the league will place each trade in a queue, logging through every move chronologically. But teams cannot continue to negotiate, even on the edges, once they’ve called in the original parameters. “You have to make sure you have all your ducks in a row,” Marks said. A simple misstep or miscalculation can derail a trade. Section 8 of the league’s Collective Bargaining Agreement outlines 11 distinct rules regarding trade completion, ranging from when a player can be traded—like the Dec. 15 benchmark when recently-signed free agents become swappable—to the amount of cash teams can exchange annually. This July, the old $3.5 million limit rises to $5.1 under the new CBA. “It’s a vital mechanism,” said Courtney Witte, the longtime Philadelphia 76ers director of player personnel and current Phoenix Suns’ scouting czar. Team brass huddle for each call. Anywhere from one to six members of a front office, most commonly three or four, join the discussion. Most teams veer towards limiting the number of cooks in the kitchen. “The Knicks aren’t a good example,” one executive quipped. The call begins by each team, as well as the league, respectively announcing who is present, for each call is recorded. Then, the NBA representative reviews the terms of the negotiation—which each team has emailed to the league’s Manhattan office—for example, clarifying, “Toronto, do you agree to trade Terrence Ross and a 2017 first round pick?” And once the Raptors confirm, the Orlando Magic would be asked to corroborate their agreement to the trade as well. The process prohibits a team from exploiting any potential loopholes. The NBA’s legal expert reads through the entire details of each involved players’ contract. For deals involving mostly standard player contracts, the call can be completed in as quickly as 10 minutes. More elaborate deals, like the famous trade that sent Kevin Garnett and Paul Pierce to Brooklyn, can take several hours. The painstaking method uncovers any potential illegal side deals negotiated alongside any contract, a reaction to Joe Smith’s under-the-table arrangement with Glen Taylor and the Minnesota Timberwolves back in 1999. Multiple current and former executives said they experienced rival teams attempting to sneak buzzer-beating, extra first round picks into deals in the early 2000s, but that malpractice has disappeared this decade. “We’re shaking our heads like, no, no, no, that’s not what we agreed to,” Witte remembered. “We’re gonna have to call you back,” a former assistant GM recounted. The CBA mandates the league must then email a summary of the terms to the Players Association and draft a trade memo for distribution to all 30 teams. Meanwhile, one of the teams is required to draft an assignment form, stating one team is assigning the contract of a player, along with the rights and obligations of that contract, to another team—no picks or cash considerations are included. One executive has to fill out a template breaking down the deal. It’s why Zarren had to hold back his tears when dealing Perkins. “There’s 80,000 things,” Zarren joked. “I didn’t leave the office until midnight that day.” The fabled cliche, the NBA is a business, does exist for a reason.